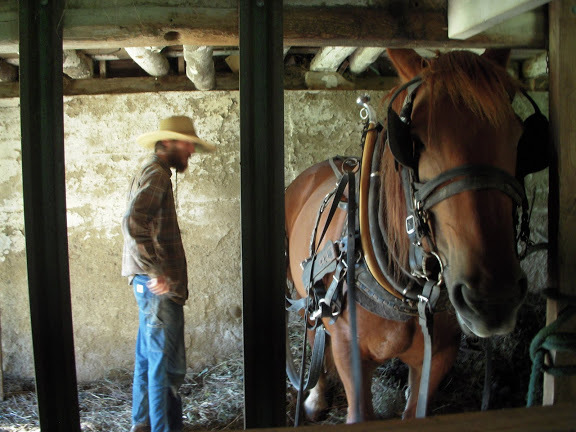 Biodynamic, Horse Powered Vegetable CSA in New York’s Hudson Valley Seeking Apprentice for 2013 Season April through November. Serving 90 on farm CSA members vegetables along with 40 Winter CSA Members. Cultivating 5 acres of vegetables, herbs, and flowers of 90 acre farm, with 25 acres in pasture, 10 in wetland, and 50 forested acres. 2 Suffolk Draft Horses for all field work, 3 Cows (handmilking and processing) and young bull, Small Chicken Flock, apiary. Apprenticeship focus will be on vegetable production including greenhouse seeding and care, direct seeding, field preparation, making and applying compost, weeding and cultivation, transplanting, harvesting, washing, and interaction with CSA members. We are passionate about biodynamics and are happy to share our experiences. Pasture/grazing management of cows and horses will also be included. Other work depends on applicants skill and willingness. Full room and board provided as well as needs based stipend. Applied to participate in NABDAP program, CRAFT Opportunities, Wonderful local Community.